“It’s the only thing that keeps me level,” he says. 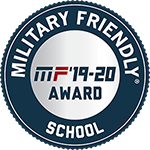 Berklee Online recently received the Military Friendly School designation for the 2019-2020 year. Read the full list of schools to obtain this designation in the May, 2019 edition of GI Jobs. 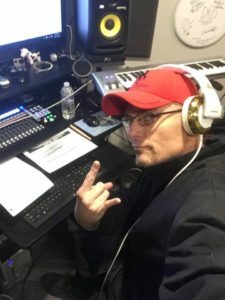 Knowing he was not the only veteran who saw music as a lifeline to the real world, he started Vet-Traxx Project, a Northern California non-profit organization which operates a recording studio where disabled veterans can play and record music as a means of therapy. 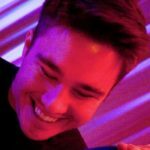 He’s been using the Post-9/11 GI Bill to pursue an Advanced Professional Certificate in Music Production using Pro Tools from Berklee Online. Vet-Traxx Project works with veteran musicians and bands in which at least one member is a veteran, with particular attention to serving those who are suffering from disabilities such as Post Traumatic Stress Disorder. 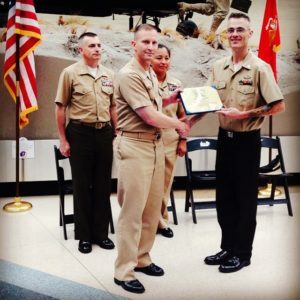 YN1(SCW) William Eric Lewis, USN Ret., far right, is shown here at his retirement ceremony. 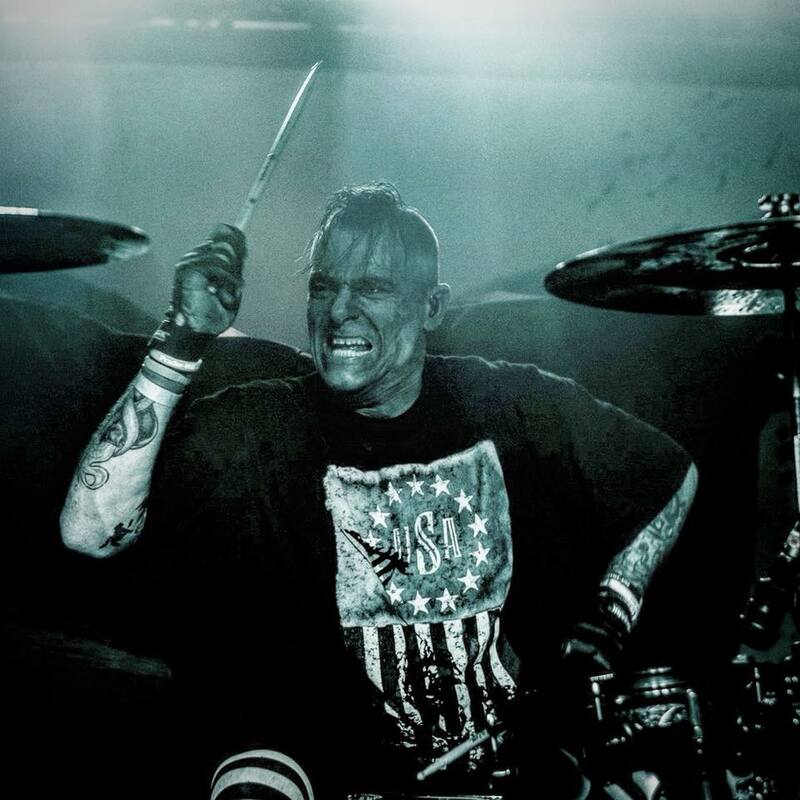 Eric began playing drums at the age of 13, and joined the Navy five years later. He played music when and where he could find time to make it fit alongside his career in the service: he had a stint with a band in San Diego which got picked up by an indie label, a side job as assistant manager at Guitar Center in Oxnard, and many trips to the National Association of Music Merchants convention, also known as NAMM. Eric Lewis is pictured here as the Vet-Traxx studio is being built. The logical place to focus his sense of siblinghood with fellow veterans and his basic need for a connection to music was in a studio, and this is where Vet-Traxx Project was born. Eric brought the idea to NAMM, and was met with an outpouring of support from companies across the industry. 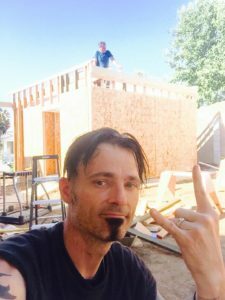 He only had to pay $600 out of pocket to build the studio from the ground up; everything else was donated. The therapeutic benefits of Vet-Traxx are tangible. Stress, anxiety, and antisocial behavior decrease as self-esteem is built, and vets make connections with others who have had similar experiences, while they communicate their thoughts and feelings through the unique vehicle of music. Of the veterans suffering from PTSD, which include roughly 31 percent of veterans of the Vietnam War, 10 percent of veterans of the Gulf War, and 11 percent of veterans of the war in Afghanistan, Eric explains that around 50 percent have sought help. On average, 22 veterans suffering from PTSD commit suicide every day; this is the statistic which Eric and Vet-Traxx Project are trying hardest to fight. As he says, “we’re not going to be able to help everybody, but we are damned sure going to try.” Services to veterans are provided free of charge; at Vet-Traxx, they believe that veterans have already paid in time and service. Eric Lewis rocks in the studio. To learn more about Vet-Traxx Project, please visit vet-traxxproject.org. Berklee Online proudly holds a Military Friendly School designation for 2018-2019. For more on how we support service members, veterans, and their families, please visit online.berklee.edu/military/overview.